Social media giant Twitter has launched a new video feature, which has enabled the media publishers to post live video broadcasts. 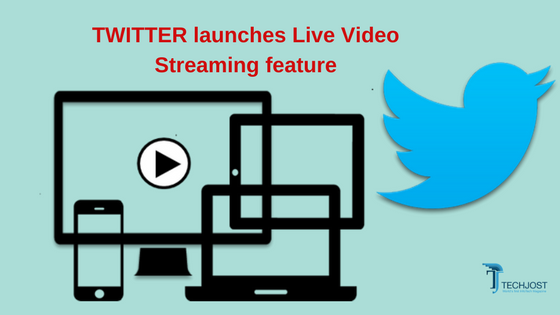 Previously tech giant was using periscope feature but, now the media publishers can connect professional webcasting and video editing equipment to Twitter with extremely strong integration than before. The feature will be available from 22nd March 2017; according to TechCrunch news. It’s believed that; Telestream, Wirecast, and Livestream Switcher are joint partners of Twitter API – Which helps media publishers to use the social media giants API. Twitter hasn’t yet released any official statement about these news surrounding the Internet today. Facebook API has been a big hit among all users and media publishers since its launch in April 2016. Twitter is following the footsteps of Facebook and we believe that, there isn’t much to choose between the Twitter API and Facebook API. Now Twitter API feature will also allow best video cameras, desktop editing software’s, editing boards, media satellite vans can now directly broadcast anything on Twitter through API feature. The FB’s live streaming feature has taken over the world by storm. Many open invitation webinars and shows are organized on social networking leaders platform since the launch of its API feature. Industry personals questions Twitter’s commitment to keep periscope its live video app. It is feared that Twitter will roll more on its broadcasting and livestream browsing into its main app. The opinions are divided but, it can only be answered after a week or two once the feature is fully functional.